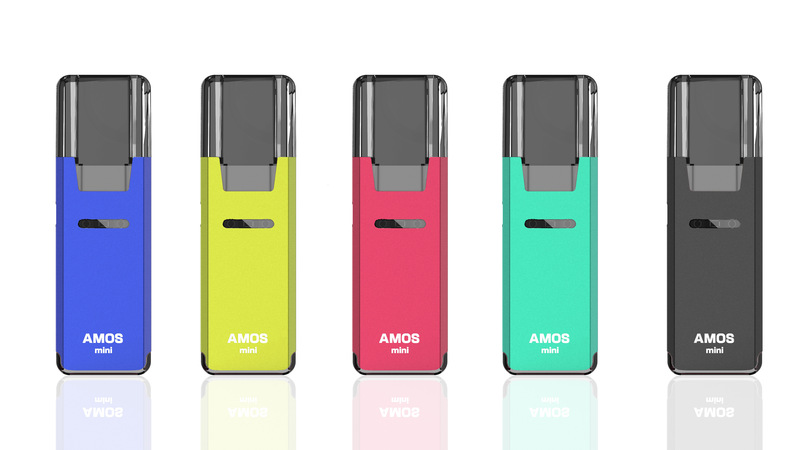 SMOKJOY Amos Mini Kit is an all-in-one style vaping kit consisting of the 2.0ml cartridge and built-in battery. Features the tiny compact size and smooth appearance that is easy to carry anywhere. Along with an automatic air switch and high-quality cartridge, the SMOKJOY Amos Mini Kit brings the smooth flavor. The innovative Pod allows for DTL Direct To Lung or MTL Mouth to Lung with its 2 Channel Airflow system. The Air Intake hole is also the air chimney. With the Ceramic Coil this pod kit is ideal for thick CBD oils..